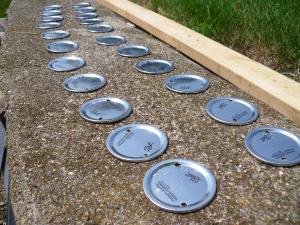 Our anniversary is just a few days away and this time, I was thinking of a budget-friendly decoration theme for my party that I could DIY rather than breaking the bank. 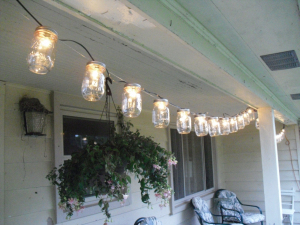 Luckily, my sudden tryst with a simple tutorial on mason jar string lights on The Backyard Blog made my job easy as I had a huge stock of those versatile jars, almost on the verge of disposal. 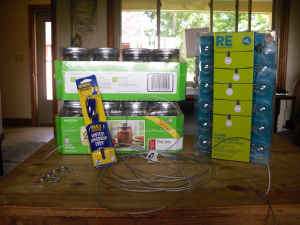 The supplies were right on my table, and I followed the procedure given below to light up my porch. 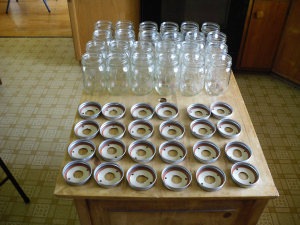 Pull the rings and lids off the jars and drill two small holes into each lid. 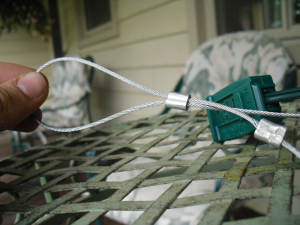 Place the lids in their respective bands and slide the cable through the two small holes made in each lid. 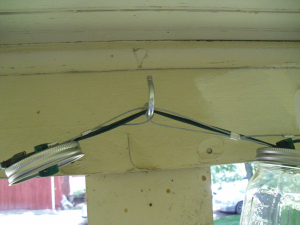 Detach the bulbs to avoid an accidental breakage. 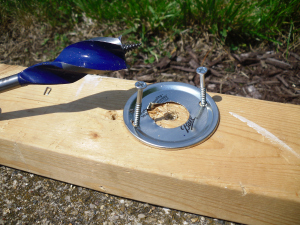 Tighten the ferrules using a crimp. 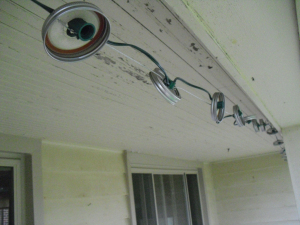 Hang the cable and lids fixed to the light strand making sure that the lids are equally spaced. 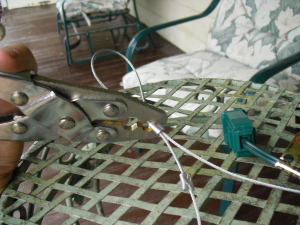 Cut the cable in the middle to make two loops using the ferrules for strengthening the light string. 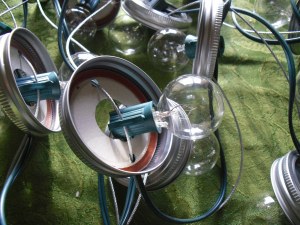 Place the lights bulbs on to the sockets and secure the mason jars to the lids. 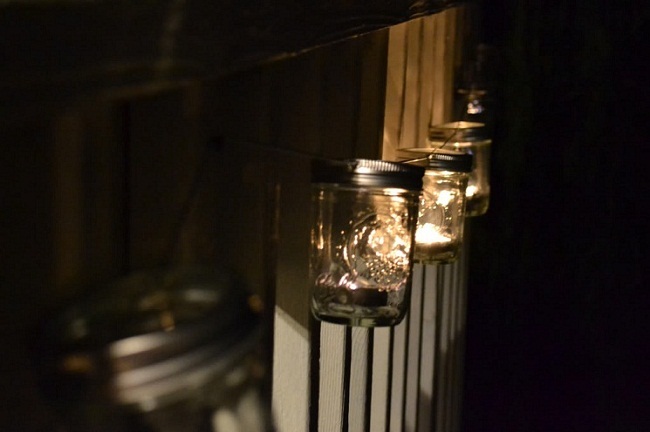 If you do not have string lights, then drop tea light candles into the mini mason jars to recreate the same luminary effect. 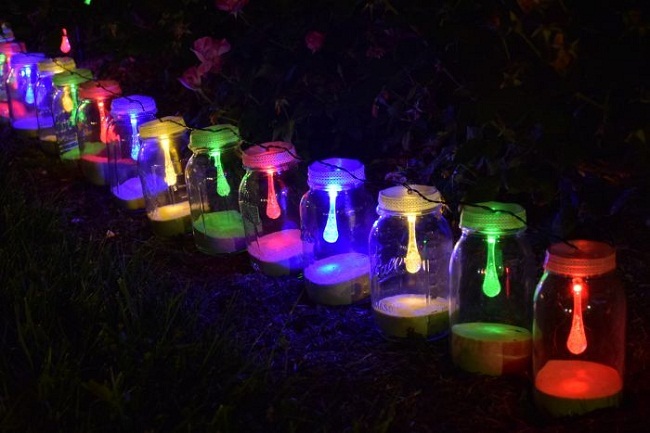 The vibrant glow of solar bulbs illuminates the mason jars, making the perfect addition to any backyard party. 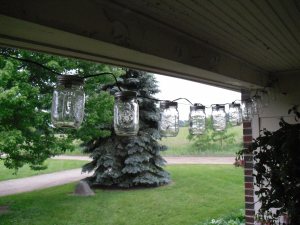 I just hope my mason jar lighting steals the show on my upcoming anniversary party and makes me feel proud. 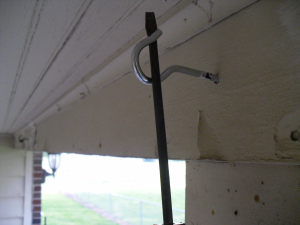 So if you too want to create a warm and homely ambiance, either indoor or outdoor, then give the project a try. 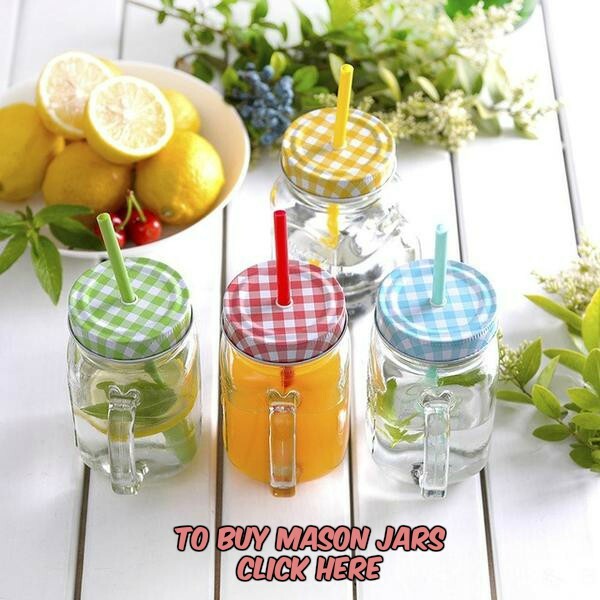 Hi, I am writing to promote my latest product: HOPTOP a fermenting lid for Mason Jars. It is available on Kickstarter for the rest of the week. 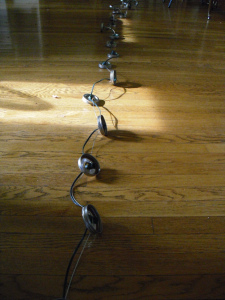 If this is something you think your followers would be interested in, we would love to be mentioned on your blog. I can also provide unique images and content. We have reviewer copies available soon! Request one by replying to my email address.